Prepare for a jaw-dropping adventure through a living and evolving world full of stunning beauty and primeval danger. The shared open world of Anthem lets you and your friends play as Freelancers. Leave civilization behind to explore the depths of the unfinished world full of beauty and ferocious beasts. Play with up to four players and venture as a heroic team in a mission to confront any dangers you may come across. As you support your friends along the journey, your victories and rewards will benefit them too creating a need for companionship and teamwork. Readily equipped with weapons and powerful abilities, use your incredible Javelin exosuits to your advantage as you tackle enemies. There is an abundance of customisation options to help you earn, learn, fly, leap and climb through this addictive open-world. Throughout the game, you will chart your path as you experience world-changing occurrences. Prepare for intense Shaper Storms, as well as fighting reckless beasts and delving into forgotten ruins. You must defeat the forces and save humanity, are you brave enough? Each choice you make will change you and the world around you, so you must choose wisely! With every plunder, revenge or glory you must step into the unknown and make bold decisions. 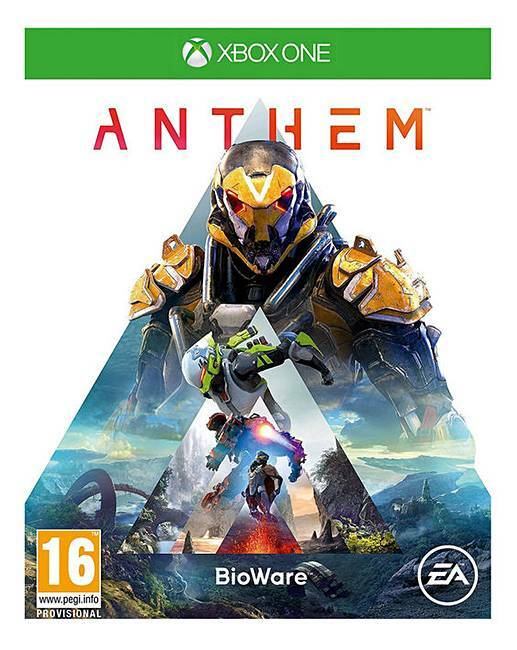 Published by EA and developed BioWare, venture into the unknown and buy Anthem on Xbox One.